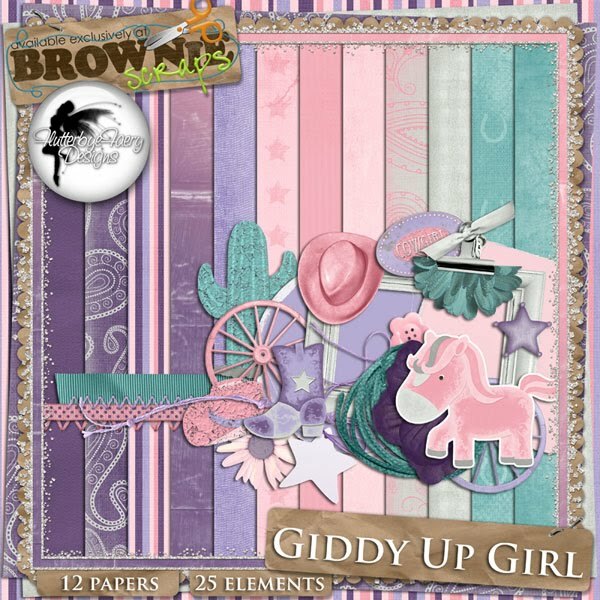 FlutterbyeFaery Designs: Giddy Up Girl! 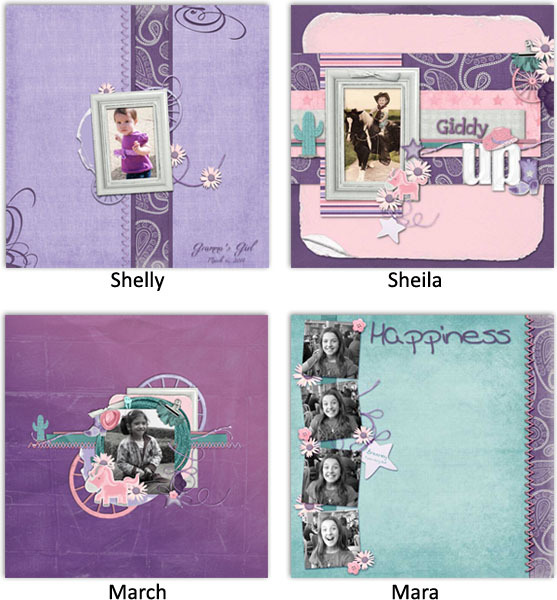 a fun cowgirl kit in pinks, purples, and teal. 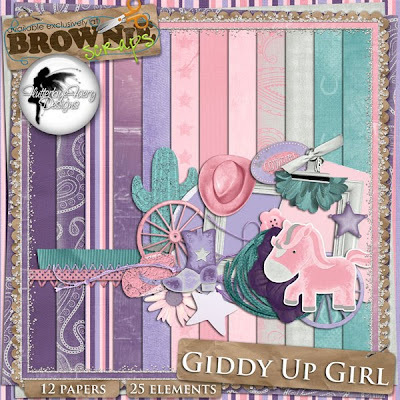 contains 12 papers and 25 elements, elements include: sheriff badge, boot, bow, buckle, button, cactus, flowers, frames, hat, horse, ribbons, mats, rope, string, stitching, tag, and wagon wheel. and it's 25% off for Tuesday's Fresh Baked Brownies Sale!